KV Anand directorial Kaappaan has released the official teaser, giving a sneak peek to the story. The teaser, which runs into more than one minute, showcased Suriya in different getups. The range of roles, which Suriya was seen essaying in this teaser, has stunned the fans of the star, who have already started planning to celebrate the release of the movie, which is slated to hit in this August. Though not much is known about the story, it was seen that Suriya’s character was playing against the system and its orders. 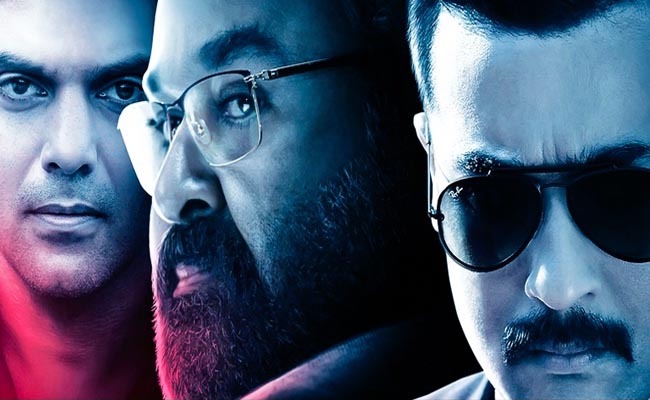 The teaser has also featured Mohanlal, who is essaying the role of a politician in the project. That lands in a such a situation that Suriya and Mohanlal would be combating each other – much to the excitement of both the stars. Apart from the lead stars, Kaappaan also stars Arya, Samuthirakani, Boman Irani and Saayeesha in other important roles.